Dianne has over 40 years’ of experience in health care. She began her nursing journey as a nurse aide in long-term care. As a Registered Nurse she began working in the acute care setting in the 1970’s as a staff nurse on an eighty-five bed medical surgical unit. Her interest in education began as the oldest of nine children providing “summer school” for her younger siblings. During her nursing career, education has been a focus as she spent time as a diabetes educator, a staff development educator, and an adjunct faculty for the Aultman diploma nursing program. In addition, she has provided education to health care employees from entry level to administration while serving as a project coordinator for accreditation and quality activities. 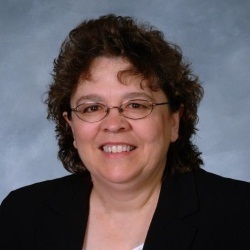 Dianne began her teaching role at Aultman College in 2006 as an adjunct clinical faculty. Her teaching philosophy exemplifies her desire to instill a passion for learning in her students as well as her faculty. She currently serves as the ASN program director. With the small college environment, she is able to encourage personal and professional growth for students across the curriculum. She is actively involved in student learning outcome assessment and developing activities to expand student thinking. During her initial semesters as full-time faculty, she developed a learning experience entitled “The Journey of Caring” which helped students identify with the special needs of the geriatric population during transitions of care. Dianne participated in college governance and maintains membership in a number of professional organizations. She currently serves on the editorial committee for the Med-Surg Matters journal and participates on the Hospital Nurses Improving Care for Health System Elders (NICHE) Steering Committee. This committee was responsible for the initial Aultman Hospital NICHE designation. Dianne has a passion for the geriatric population. She believes that history repeats itself and this population has much wisdom to share. She has volunteered to deliver hot food for Meals on Wheels. Her passion for the geriatric population extends to her students through the establishment of a geriatric scholarship awarded to a student who also exemplifies a desire to make a difference for this population. Outside of her profession she enjoys reading, gardening, and spending time with her family.